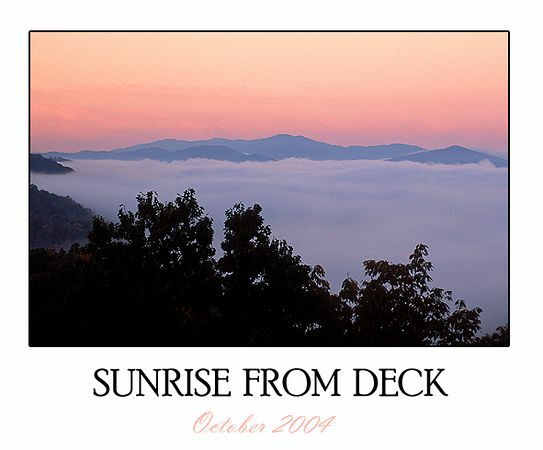 This photo was taken at sunrise during October 2004. It is the only time (during the past year) that I have seen the combination of the clouds in the valley and the early morning light so intense. I awoke from the loft to see the beautiful sunrise through the sky window.